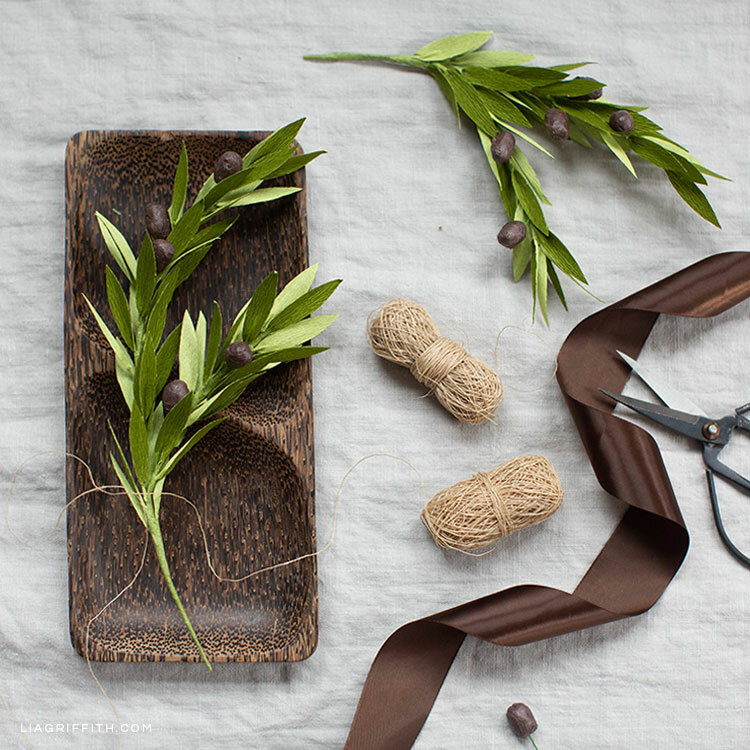 Since “peace” is a word that’s used often around this time of year—and olive branches are a symbol of peace—we decided it was only fitting to make our own DIY version. 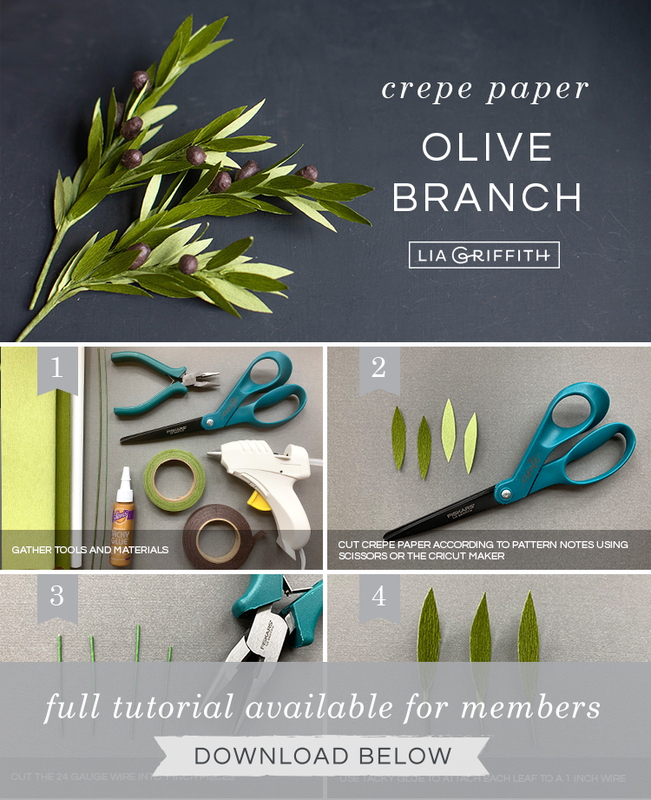 These crepe paper olive branches are easy to make with our pattern and tutorial. 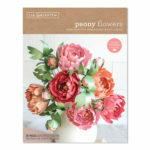 Plus they will look beautiful in your home! 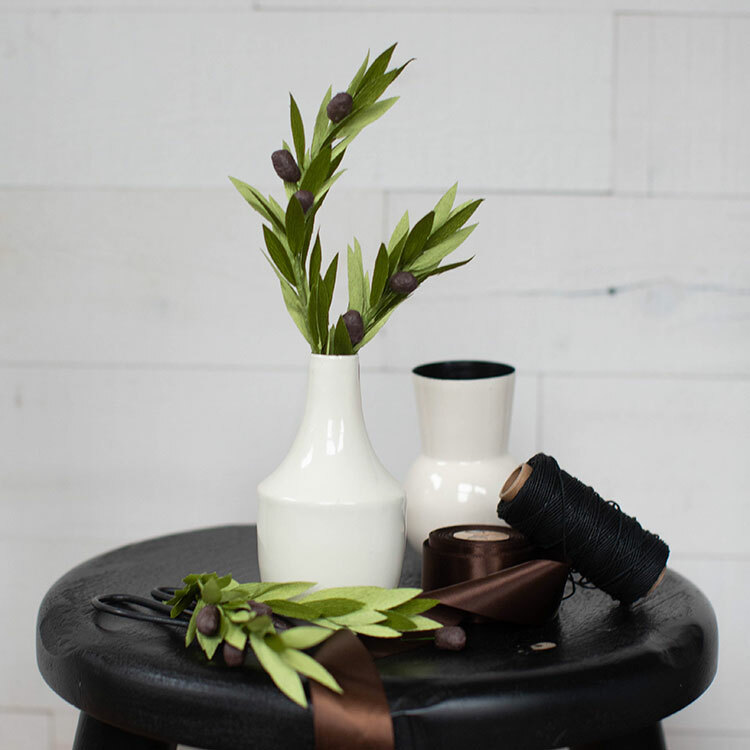 You can bunch a few branches together in a simple vase or place a single branch on a wooden decorative tray. 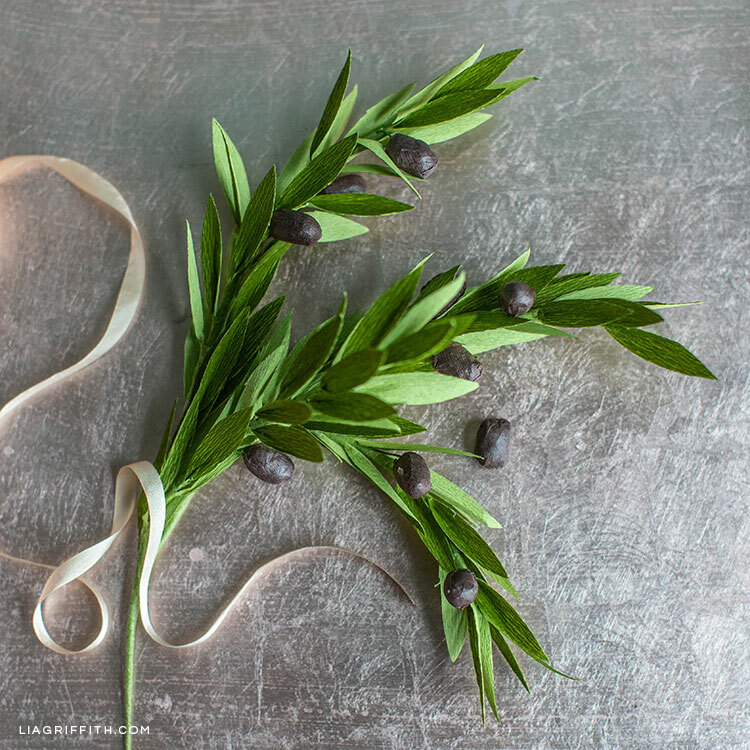 Another fun idea would be to make your own wreath out of olive branches. 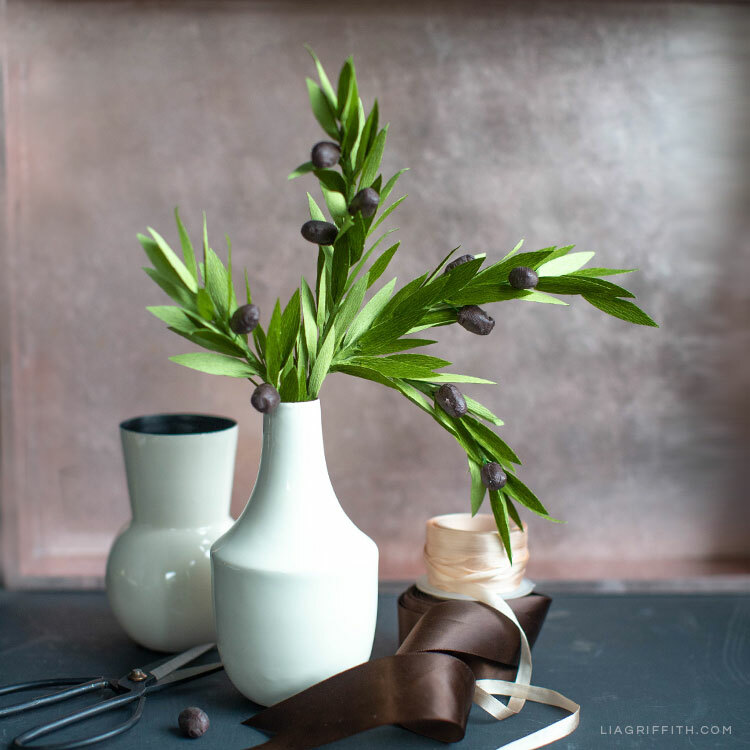 We used our double-sided crepe paper to give our DIY olive branches more texture and depth. It’s also such a great color for leaves. 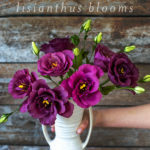 If you enjoy making your own greenery, we have some other ideas on our site that you might like. 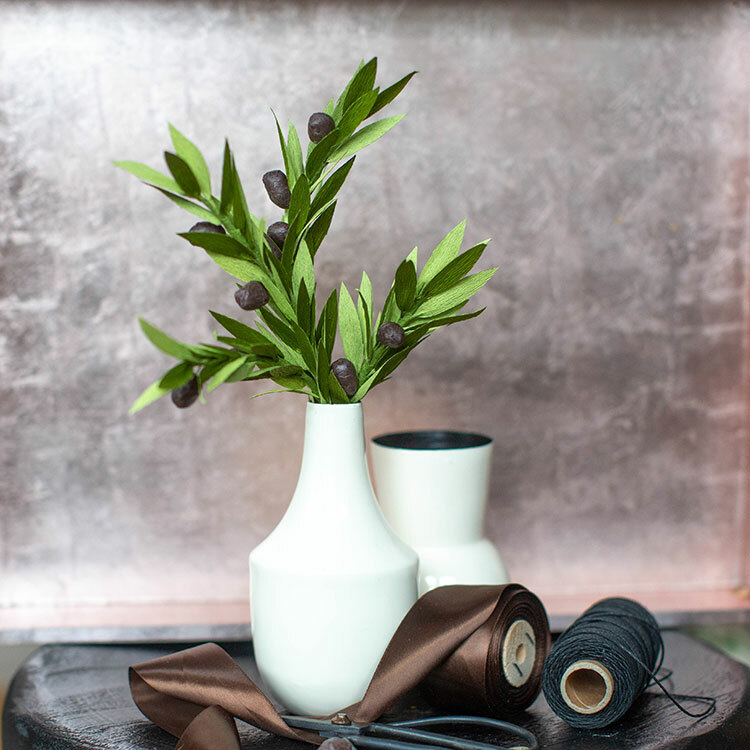 Although olive branches have been around for a long time, they’re often used now to create modern arrangements. If you’re looking for some other modern DIY décor you can craft for the season, check out our asymmetrical winter wreath and our mini evergreen paper wreaths. 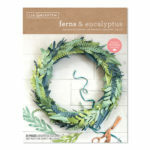 Both of these posts include ideas for where you can hang these wreaths in your home, too. Cut crepe paper according to pattern notes, using your scissors or Cricut Maker. Cut your 24-gauge paper-covered floral wire into 1-inch pieces. Use tacky glue to attach each leaf to a 1-inch piece of wire. Looking for something specific? 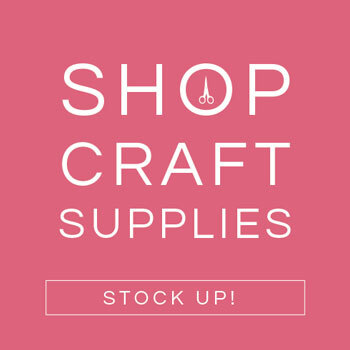 Make sure to check our site—or ask us if you can’t find something! 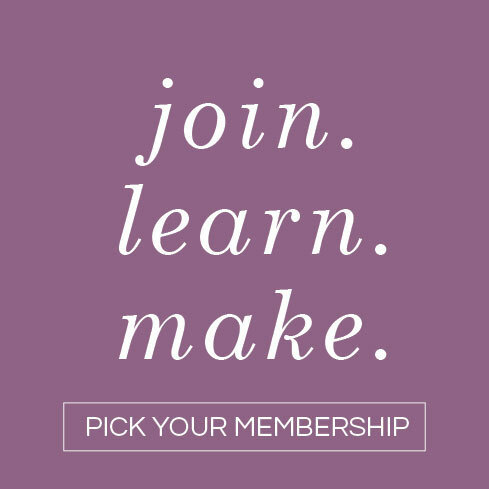 For daily inspiration, make sure to follow us on Facebook, Pinterest, and Instagram. 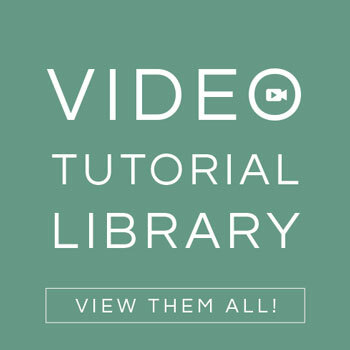 Or browse our YouTube channel for DIY video tutorials.